When Is The Right Time to Take Your Insulin? - Diabetic recipes, free diabetes magazine & more! 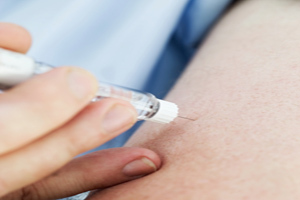 Home » Blogs » When Is The Right Time to Take Your Insulin? If you take insulin and struggle to manage high and low blood glucose numbers, one reason may be the timing of your injections. Coordinating when you take your insulin with the timing of your meals, your physical activity, and other parts of your diabetes care plan can help. Here are some tips to help you time your insulin just right. – Take insulin at regularly scheduled times. The more often you are able to take your insulin at the same time each day, the easier it becomes to keep your blood glucose in control. This isn’t always easy. If you want a more flexible insulin plan, talk with your health care provider about taking more injections, using a long-acting and rapid-acting insulin plan, using an insulin pen or switching to an insulin pump. – Eat at about the same times each day. Doing so also makes it easier to manage your blood glucose. 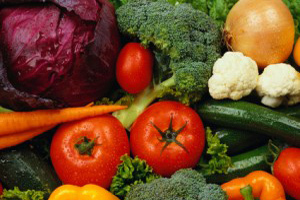 – When you eat, you need insulin readily available. This will help to keep your blood glucose level from going too high. Carbohydrates in food make blood glucose rise. It’s easier to keep blood glucose from going too high by having insulin in your body when you eat rather than trying to lower blood glucose that has already gotten too high. – Give regular and rapid-acting insulin a running start. The reason regular insulin is typically taken 30 minutes before a meal is to give it a running start to lower blood glucose before the carbohydrates from your meal raise it. Rapid-acting insulin, however, is typically taken only 5 to 15 minutes before a meal, so it is very important not to delay the meal after you’ve given yourself an injection. Paying attention to timing won’t solve all of the ups and downs of blood glucose levels, but it can help to make managing your diabetes a bit easier. If you have diabetes and arthritis, you may wonder if these two are related. Both diabetes and arthritis are chronic diseases. As you age, your chances of having chronic diseases increases. Also, as we get older, many of us tend to gain more weight. This extra weight adds stress on your joints, which can lead to inflammation and can lead to arthritis. There is more than one type of diabetes and there is more than one type of arthritis. As you may know, the two main types of diabetes are type 1 and type 2. The two main types of arthritis are osteoarthritis and rheumatoid arthritis. Type 1 diabetes and rheumatoid arthritis are both auto-immune diseases. Such diseases involve your body fighting against the other substances present in your body. In the case of type 1 diabetes, your body destroys the cells that make insulin. With rheumatoid arthritis, your body fights the linings of your joints. Both type 1 diabetes and rheumatoid arthritis are more common among younger people. Type 2 diabetes is related to aging, being overweight, and not being active. Osteoarthritis is also related to getting older and being overweight, which results in inflammation of the joints. Inflammation is the pain, redness, and swelling that occurs when you have an injury or infection. Inflammation can also raise blood glucose levels that, in turn, can lead to diabetes. The medicines you take for arthritis are used to reduce the inflammation, swelling, and pain. Some of these medicines can raise your blood glucose levels, though, so be sure to ask your healthcare provider which medicine is best for you. ▪ Steroids, such as prednisone, can bring out a form of type 2 diabetes called chemical diabetes or steroid-induced diabetes. Steroids do not really cause diabetes, but they can bring it out early in people at risk. ▪ Non-steroidal anti-inflammatory drugs (NSAIDs) are used to lessen pain, but may lower blood glucose levels to unsafe levels if you are not careful to watch your blood glucose levels during treatment. Although the medicines listed above for arthritis can affect your blood glucose levels, your blood glucose levels will likely go back to “normal” once you decrease or stop the medicine. Therefore, if you have the form of diabetes brought on by steroids, it may go away once you stop taking steroids. However, you will be at risk for developing type 2 diabetes in the future. Whenever you take medicine, remember to keep an eye on all your numbers, not just your blood glucose. Make sure to know your weight, your blood pressure, and the results of your kidney function. Somesome arthritis medicines can cause ulcers and bleeding, as well as affect your heart and your kidneys, causing swelling and increased blood pressure. 5 TIPS TO HELP YOU MANAGE YOUR ARTHRITIS, ALONG WITH YOUR DIABETES. Diet. Make sure to eat healthy and never skip meals. The medicines you take for arthritis are hard on your stomach. You will have less stomach upset if you take the medicines with meals. Weight. If you are overweight, losing even 5 to 10 percent of your weight can lower your blood glucose and can make things easier on your joints. Attitude. It is common to be depressed when you have diabetes and when you are in pain. Steroids can cause or increase depression. Be sure to tell your healthcare provider if you have any signs of depression. A positive outlook helps you manage both your diabetes and your arthritis. Medicines. Take your medicines as prescribed and watch out for side effects. A rule of thumb is to never stop taking them cold turkey, even if you are having side effects or your blood glucose level goes up. You need to stop taking these medicines little by little and call your healthcare provider if you are having problems so they can advise you how to taper (gradually lower) your dose. Physical activity. Staying active can help lower your blood glucose and reduce the stiffness from arthritis. Work with your healthcare provider to design a plan of action to keep you active while still being safe about your diabetes and your joints.